Watch this amazing video, presented by CAE Healthcare & Blue Phantom, presenting the world's most advanced musculoskeletal ultrasound (MSKU) simulation training model for joint injections of the knee. "Studies have shown that musculoskeletal ultrasound guided knee injections are 60% more effective than blind injections administered into the knee by a doctor." 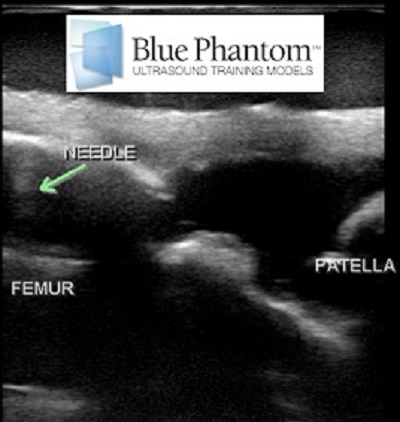 Officially released in autumn 2015, the Blue Phantom MSKU training model for knee joint injections is designed to complement procedural training by delivering a realistic ultrasound scan from just about any ultrasound machine. Learners acquire practice in ultrasound-guided needle placement within a a risk-free environment on their way towards developing technical proficiency and competency. With the Blue Phantom MSKU simulator, even beginner ultrasound users can quickly gain competence in ultrasound-guided needle procedures -- well before they engage with live human patients. The high fidelity and precise, hands-on training provided by the Blue Phantom MSKU simulation trainer for knee injections facilitates learning, enhances patient comfort, and maximizes patient safety.